John Flucke's Blog - Ramblings of Dentistry's Technology Evangelist: Think HIPAA Isn't That Big a Deal to Your Practice? 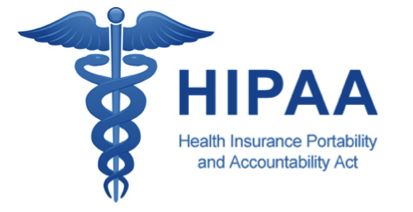 Think HIPAA Isn't That Big a Deal to Your Practice? If you don't think patient data security is important, here's a lesson to prove otherwise. PHI (Protected Health Information) is *very* important in the HIPAA laws here in the US. Form a data security standpoint, here is how I handle transporting my offsite backups: they never leave me. If I go into a grocery store, restaurant, even the Home Depot, they go with me. The portable hard drive for that day will be in my back pocket while the jump drive used for that day is on a lanyard hanging around my neck. They go everywhere with me until I get home. Now don't get me wrong... I don't usually plan stops where I have to take the data with me, but if it happens... I am prepared. To learn more about nondiscrimination and health information privacy laws, your civil rights and privacy rights in health care and human service settings, and to find information on filing a complaint, visit us atwww.HHS.gov/OCR.